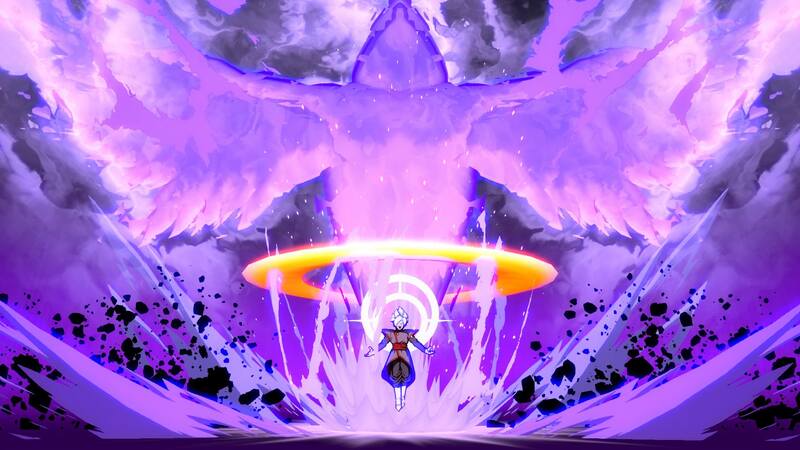 Fused Zamasu, one of the chief characters of the fourth arc of Dragon Ball Super, was recently confirmed to be making an appearance in Dragon Ball FighterZ by way of magazine scans. Now Bandai Namco is showing him off proper with some real official screens, and he's looking like a formidable addition indeed -- I really dig the use of purple in his abilities. Fused Zamasu is the third piece of confirmed DLC for Dragon Ball Fighter Z's season pass, the first two of which are Broly and Bardock, who are already implemented. Strangely, the pricey $34.99 season pass notes that there will be "no less than eight additional characters" added to the game, so we have "at least" five more to go.